Nikon Corporation (Kazuo Ushida, President, Chiyoda-ku, Tokyo) today announced the release of the new FPD lithography system FX-68S. The FX-68S is an optimal FPD lithography system for manufacturing high definition organic light emitting diode (OLED) panels and LCD panels for the latest and sophisticated mobile devices, such as smartphones. With the growing popularity of high definition panels for sophisticated mobile devices, such as smartphones, the market is demanding a lithography system that supports Gen 6 plate size with higher resolution and accuracy. 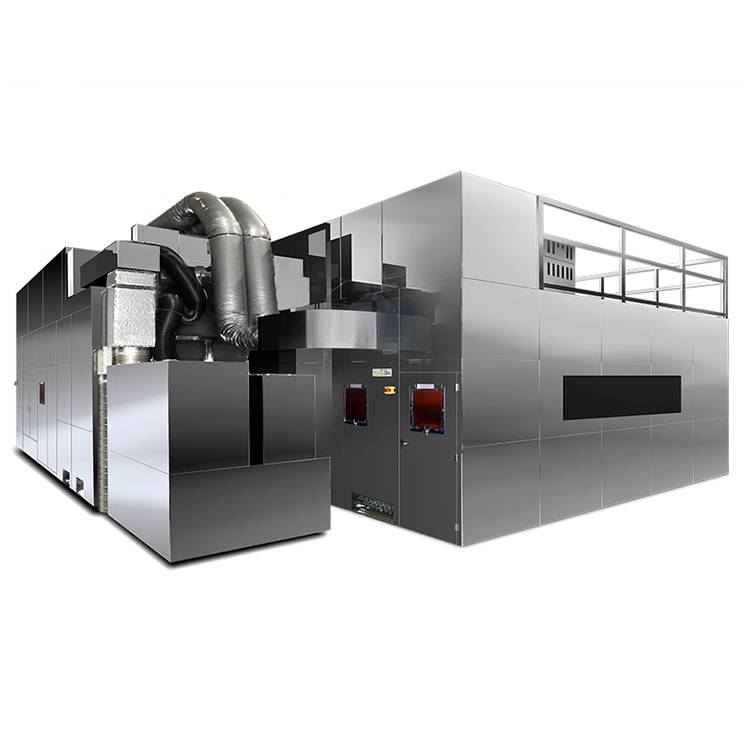 The FX-68S is a lithography system that supports the production of high definition small and medium-sized panels using a Gen 6 plate. Its scanner method enables improved productivity as well as high resolution and high alignment accuracy. While succeeding the traditional multi-lens system, Nikon has developed a new i-line projection lens that enables higher resolution. In addition, we developed an innovative correction system that takes advantage of our multi-lens system in large plate exposure. In this system, the focal surface follows the inclination change in a plate. This enabled the high volume production of panels with a high resolution of 1.5μm (L/S*) in a G6 plate. The new interferometer system for position measurement is designed to realize high accuracy alignment by enhancing measurement accuracy and position control performance. With the new projection lens and stage, the FX-68S achieved high throughput of 78 plates per hour by enabling 4-scan on a Gen 6 plate.